It is always said that books are men’s best friend and undoubtedly it’s true! Books have always been a source of knowledge, enlightenment and a sheer cause of entertainment. Sometimes they guide you in a way which is very appropriate for a particular situation. There are various books written by many legends in the world, which can help us in leading towards the right direction or sometimes even to view the light at the end of the tunnel! Whether in depression or want to pursue a passion or improve love life or professional life or personality or whatever, the answer is always presented by the books! 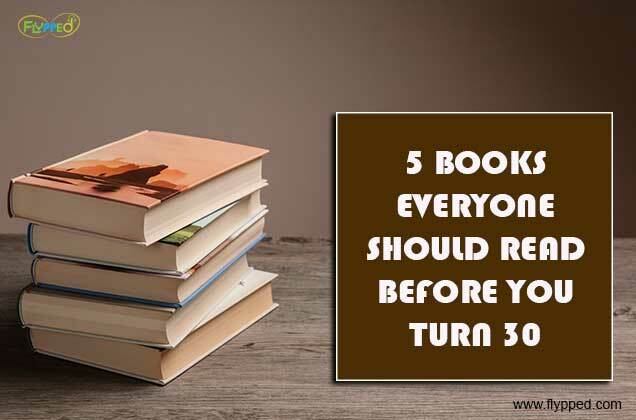 Here are lists of 5 books one must read before you turn 30! These books somewhere instill in you the quality that one must posses in order to lead a successful and peaceful life ahead. It deals with all the possible situations one faces during this age period and the way to overpower them! The writer Robert Cialdini is a psychologist, who speaks of the power of influence. In this, he pushes the readers to persuade into learning this special power to enjoy the outcome. This book is all about the learning of reciprocation, authority, responsibility, scarcity, liking and harmony. With this, he even explains the reason for learning these. This book revolves around the compassion. It is about the four friends who struggle to make their way in the New York City after graduating College. The book has a decent start but slowly emerges to be very emotional, outlining the sentimental aspect of an individual while trying to make their way out to survive in this little life. It will definitely leave you motivated to surpass the troubles faced in your life. This is a perfect book to instill the quality of the right and confident decision making in an individual. It carries the knowledge of all the answers required whether physical, mental or emotional. It guides us through the way of saying yes or no when one is ought to! This book is believed to be a package of all the possible hurdles, one faces in life and helps to transform those hurdles into the milestones of success. It is a philosophical classic. His letters deal with everything one faces today i.e. grief, wealth, poverty, success, failure etc. It guides us with the motivation to face these fears. She is a very popular author among the adults. Her novels have always left us laughing off and entertained. Well this novel is one of its kinds where it deals with the life’s impressionability and living with the regret in heart as well as dealing with that, while finding the endless second chances and the wisdom required to focus on the past’s mistakes. It is worth the time and money. Why is gold bought on Akshay Tritiya?